In Blend, you can easily change an existing layout panel to a different type of panel, by interacting with the panel object in the Objects and Timeline panel. 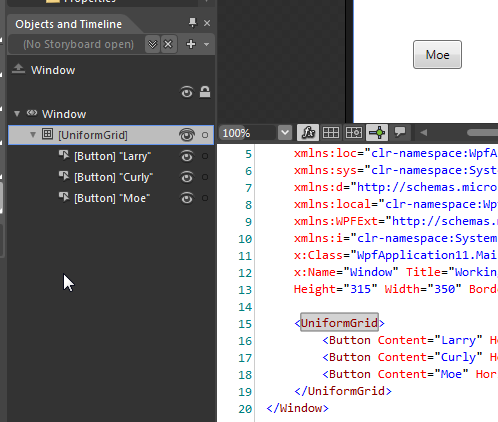 Let’s say that you have a series of Button controls as child elements of a StackPanel. 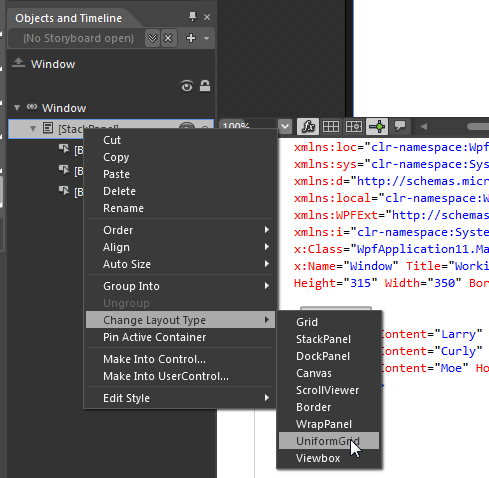 If you want to use a UniformGrid panel as a container, rather than the StackPanel, you can right-click on the StackPanel object in the Objects and Timeline panel and select Change Layout Type. Then select the desired type of panel that you’d like to use. 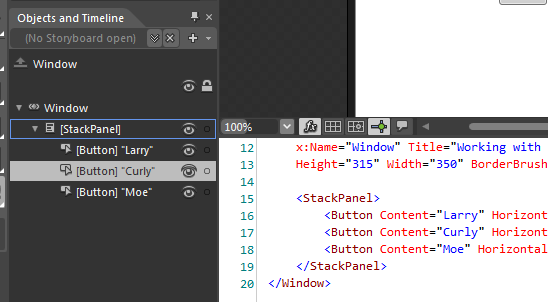 Once you select the new layout panel type, the XAML will be updated to replace the old panel with the new one. Both the artboard and the Objects and Timeline panel will also immediately update to reflect the new panel.